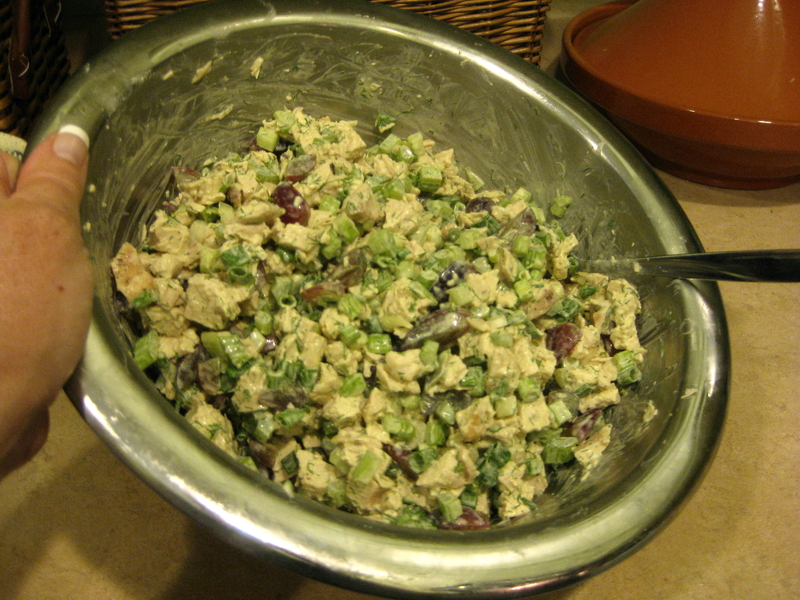 Chicken salad has got to be one of summer’s great treats because it’s so light, cool and tasty. It’s good year-round, too, but I get the yen for it especially when the weather heats up. 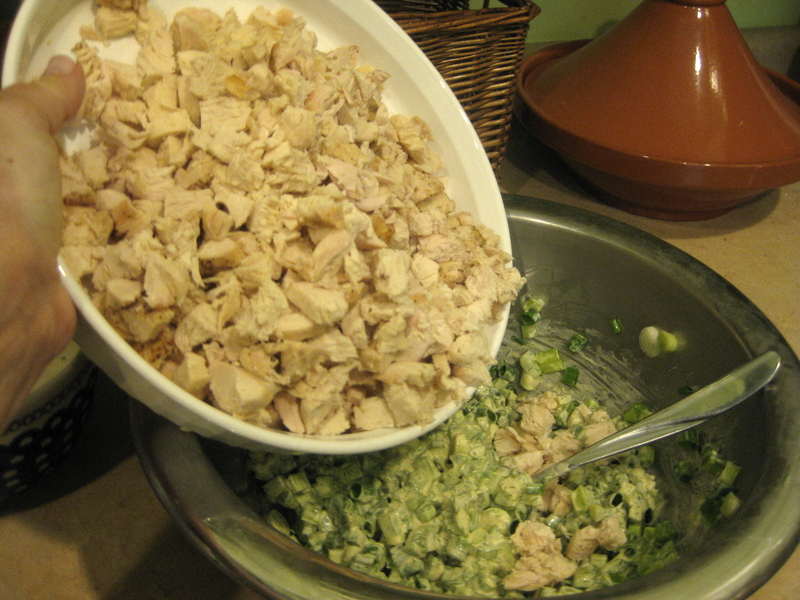 Old-fashioned chicken salad recipes included bits of boiled eggs and pickle relish. Go ahead, if you like that. I prefer the more “modern” version popular today, with a little twist – fresh dill, a little Dijon mustard and red grapes. 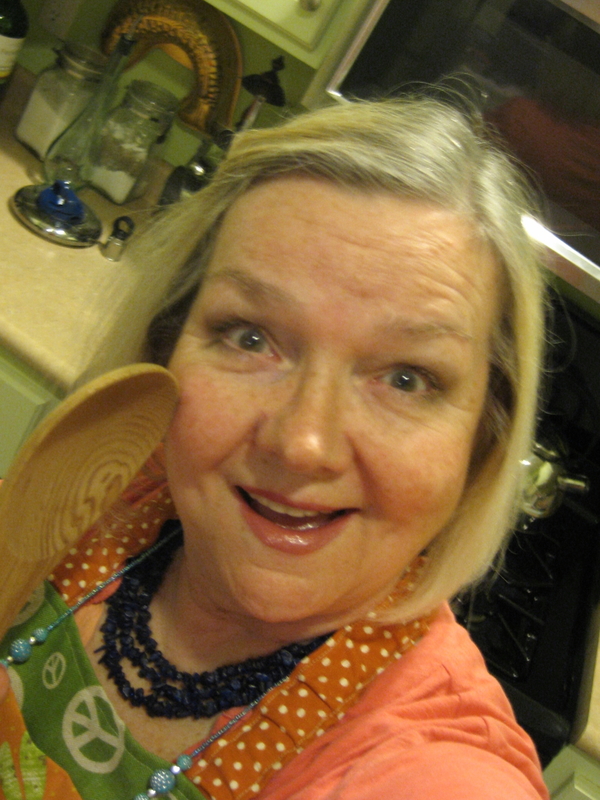 Spoon it into a warmed half-pita and you’re in business! Heat your oven to 375. Cover baking dish with parchment paper. 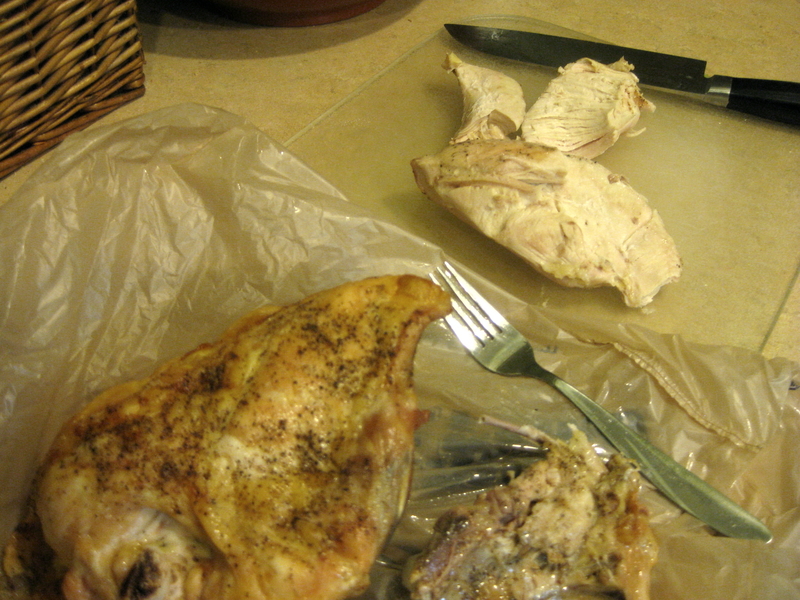 Rinse chicken breasts and pat them dry. Sprinkle salt/pepper on bottom sides, turn and lightly spread olive oil on top with salt/pepper. 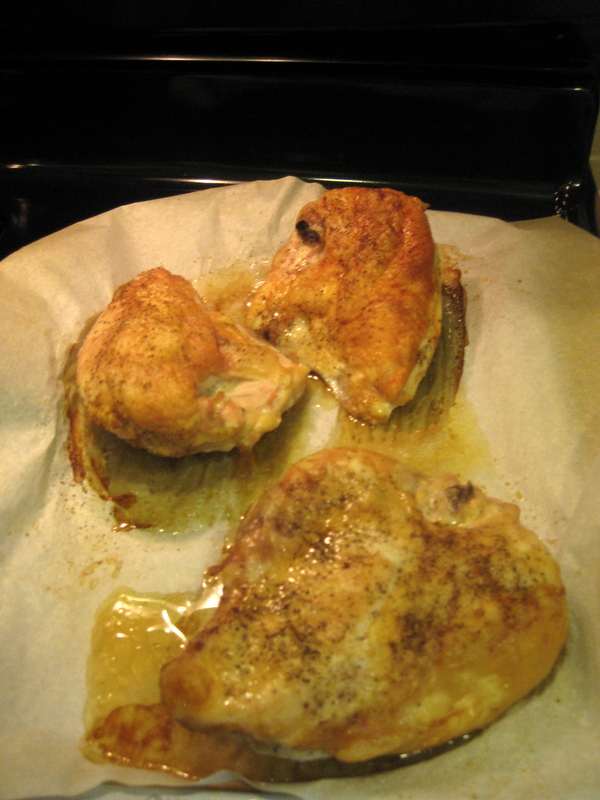 Lay them skin-side up on a parchment paper-lined baking sheet. 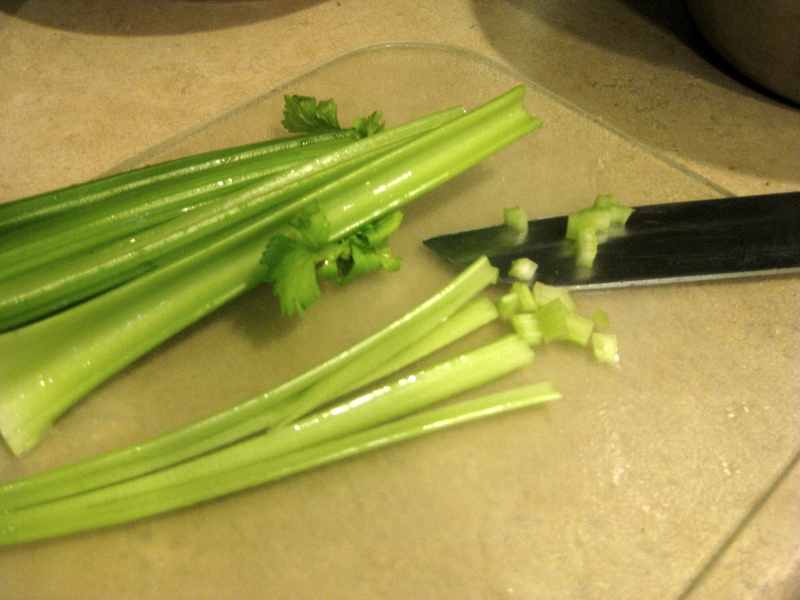 While your chicken is cooking, slice grapes and chop celery and onions. 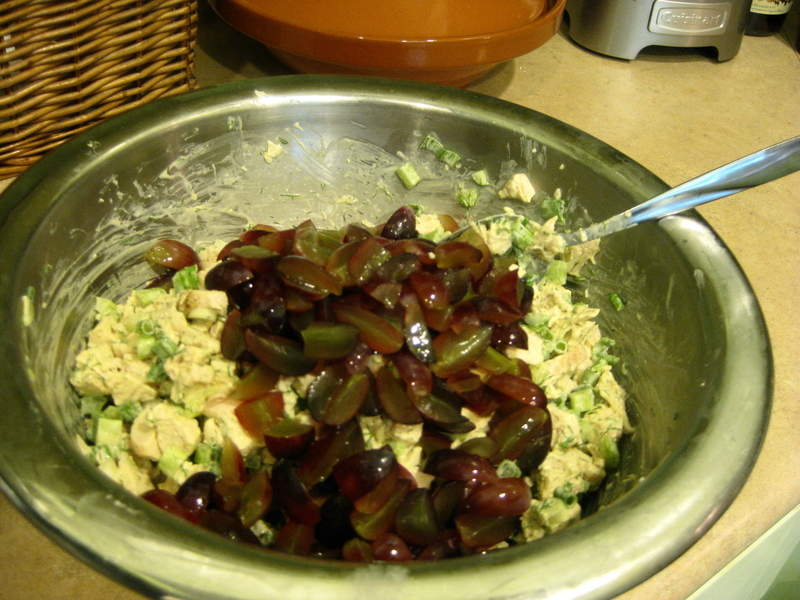 Set them in fridge in separate bowls (grapes in one bowl – celery and onions in another). Make your mayo mixture in small bowl. 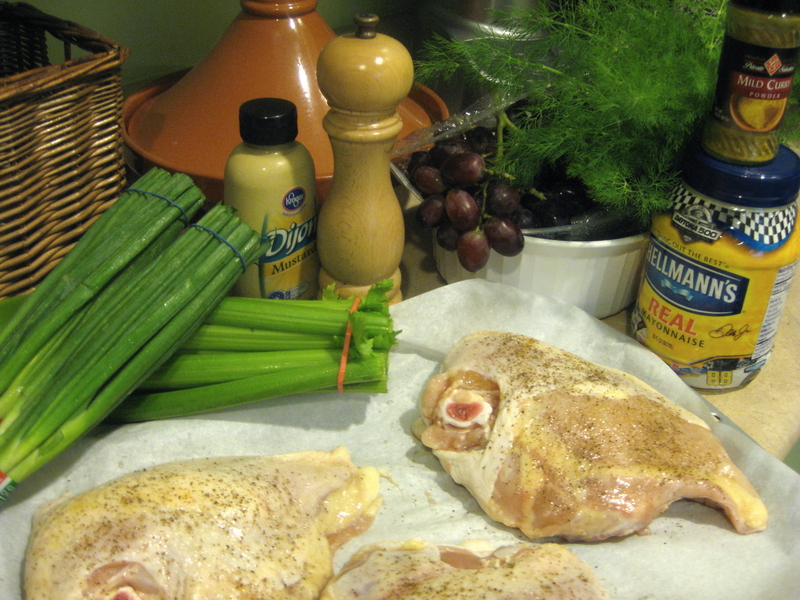 Add mayo, mustard, salt/pepper, curry powder, lemon juice and chopped dill. Combine and set in the fridge while the chicken cooks. Let them cool enough to touch (10-15 mins), then pull the skin and meat off. Discard skin and bones. Dice warm chicken into dime-size pieces. Now you are ready to combine ingredients. 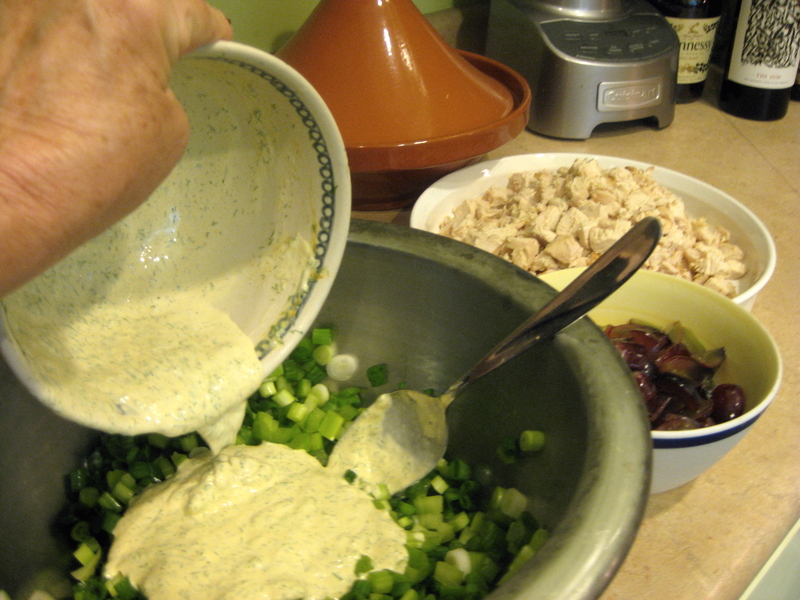 Add your onions and celery into a large bowl, then pour on the mayo mixture and combine. 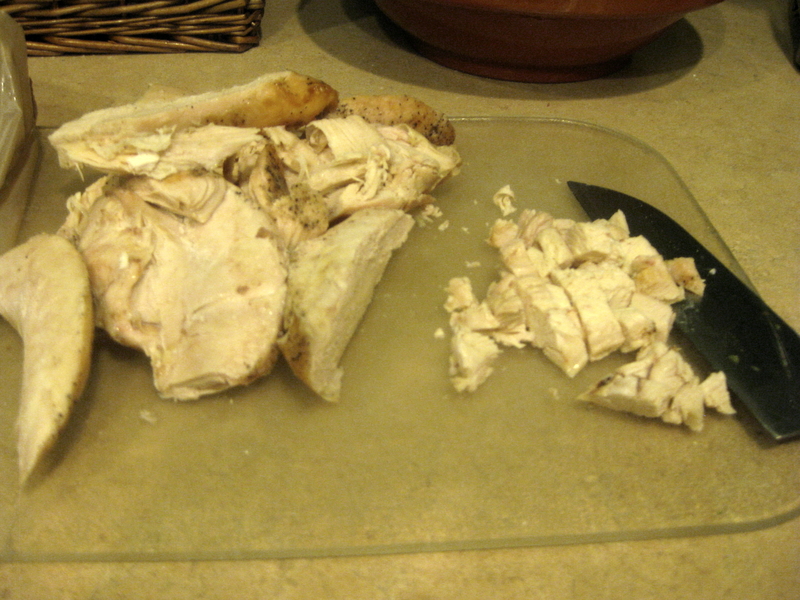 Add the diced chicken and mix. 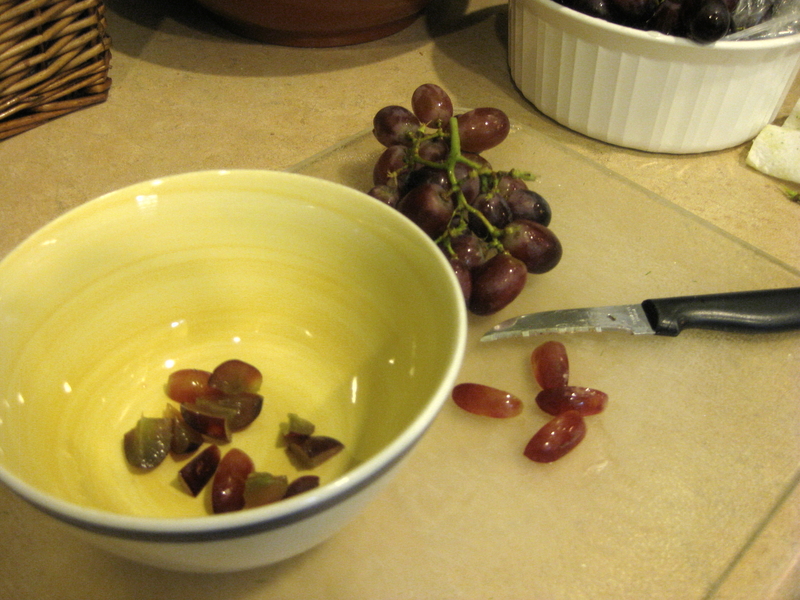 Add the grapes last so you avoid mashing them. 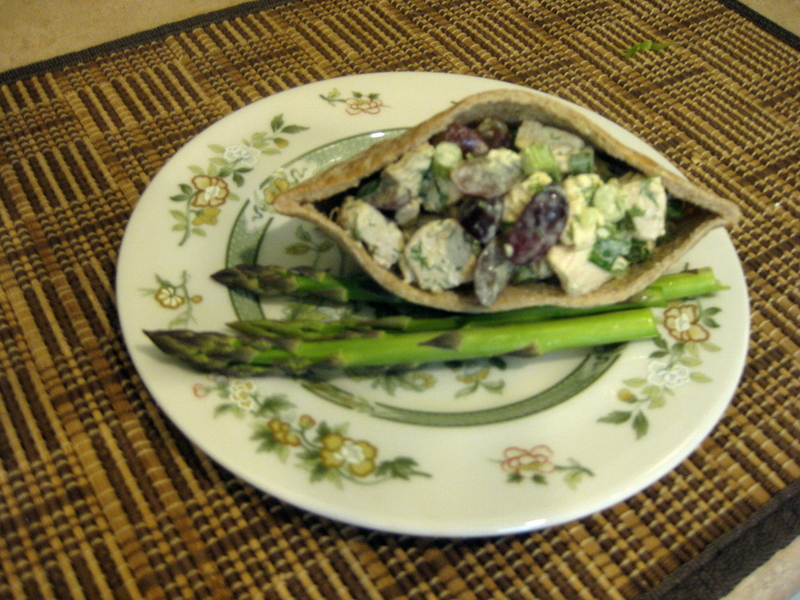 Cover the chicken salad bowl with foil or plastic wrap. Refrigerate about an hour or more until you serve it. Probably serves 6. I like it in a warm half-pita, although it’s a very good choice for a pretty luncheon plate atop thickly sliced tomatoes/cucumbers with a warm croissant on the side. 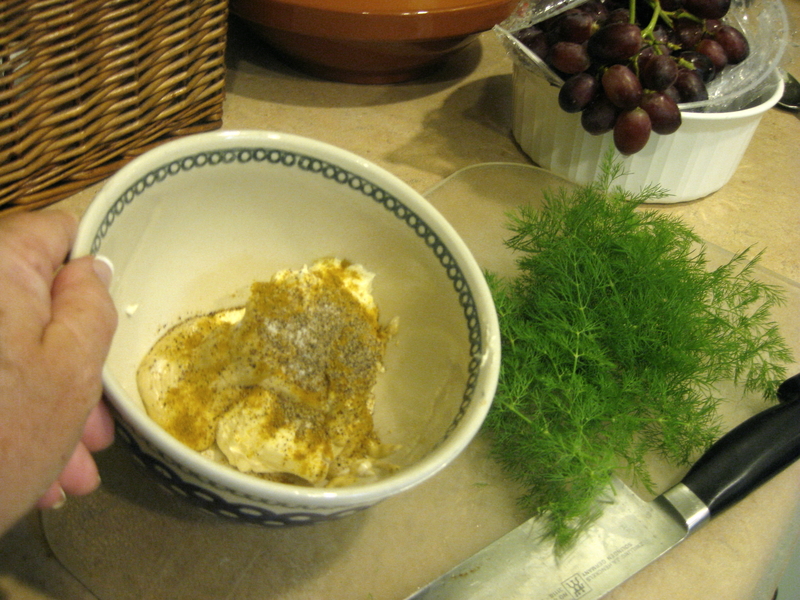 Save some of your dill sprigs to garnish on top before you serve it like a salad to yourself and your guests. Previous PostWhy are prayer flags up in New Orleans?